Glaciers and volcanoes have shaped the terrain, but generations of people have shaped the personality of Edinburgh, Scotland’s second largest city. The historical and the modern co-exist in this beautiful European city of a half million people. More than 60,000 students attend its four universities, providing a vibrant student community in the heart of the city. However, religion is a dying issue among the people of Scotland and students in particular; only five percent of the country’s population attends a church. In addition, there is a lack of young Christian leaders who are being trained to reverse this trend and revitalize the church in Scotland. In the midst of this Edinburgh student population is Roots, the second Globalscope organization to be launched in the United Kingdom. Roots’ mission is to provide an inviting, grace-driven community for all university students in the city. We seek to tell the story of Jesus in a way that brings a fresh perspective to students’ lives, and share how Jesus matters in the world today. 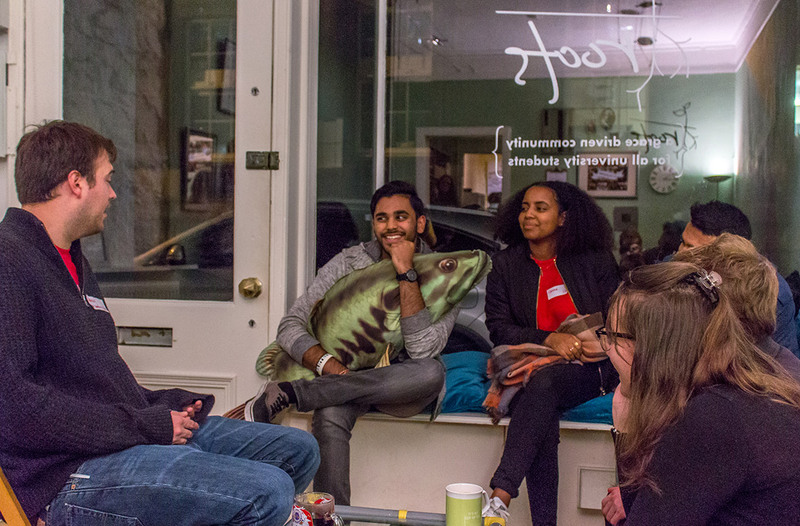 Through a weekly event centered on a meal, board game afternoons, local service opportunities, tea and coffee handouts, and much more, the team members at Roots work to tell and show the difference that Jesus has made in their lives.